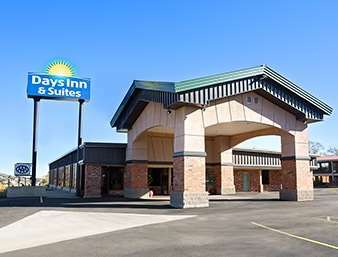 The Days Inn and Suites located near downtown Trinidad is right off Interstate 25, halfway between Santa Fe and Denver. Our hotel is close to all the area attractions and provides quick access the major highway for travel anywhere. We are very close to the scenic Highway of Legends and the Trinidad State Junior College is just blocks away. Take your family to Trinidad History Museum or play 9 holes of golf right next door. Our large guest rooms come with free high-speed Internet so you stay connected to home and the office, perfect for business travelers. We offer smoking, non-smoking, handicapped-accessible, and pet friendly rooms. Free parking for your large truck, bus or RV is available. Kids 17 and under stay free with an adult.